New Year. New Nic! 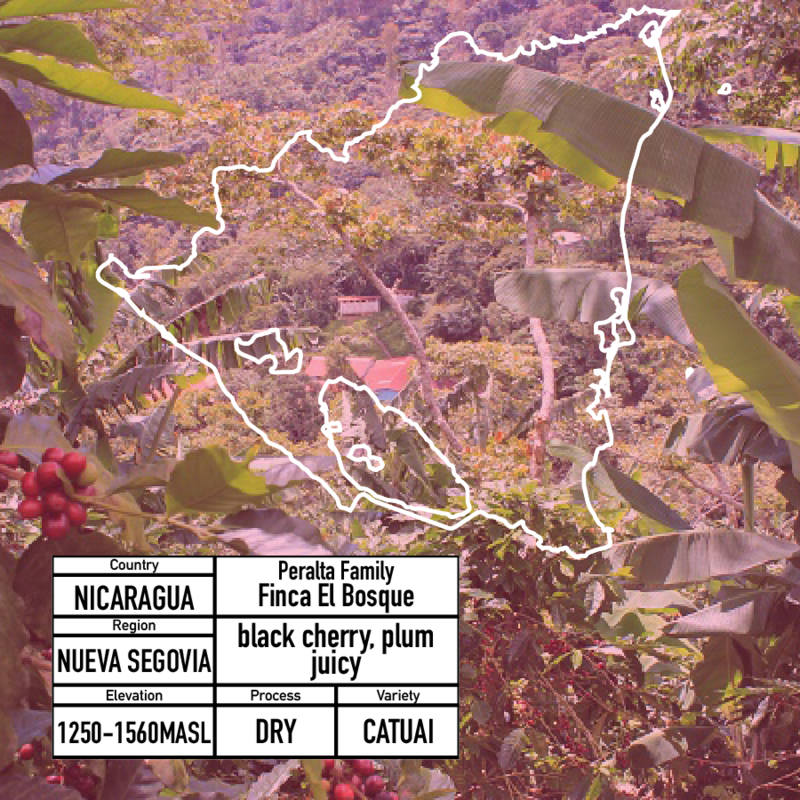 We are stoked to bring on this excellent natural processed Nicaragua to our menu. This coffee is very different from our last Nicaragua, the Finca El Bosque has really amazing sweetness. The natural process is super clean and doesn't come across as fermented or stewey. The black cherry and plum flavors are ripe and unctuous. The Peralta Family has been producing coffee in Nicaragua since the early 1900s but in 2008 they began shifting their production to focus on specialty and international markets. This offering from Finca El Bosque was processed at the San Ignacio mill. This mill is exclusively used for the process of micro lots and certified Rain Forrest Alliance coffees from the Peralta Family Farms. Natural process, dry process, unwashed, or natural sun-dried all refer to the same method of processing that usually involves drying coffee cherries on either patios or raised beds in the sun. To prevent the cherries from spoiling, they are raked and turned throughout the day and then covered at night or during rainstorms.